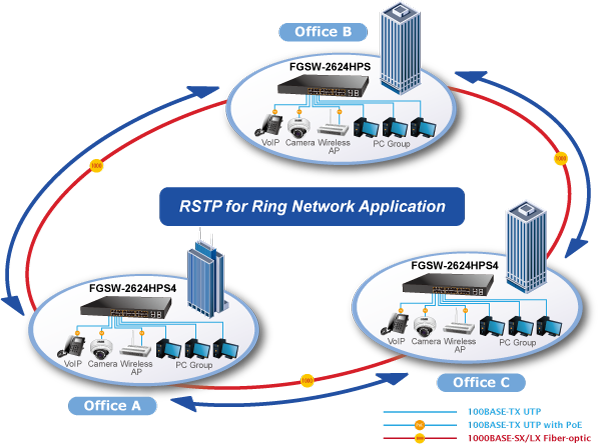 FGSW-2624HPS / FGSW-2624HPS4 – NEW! 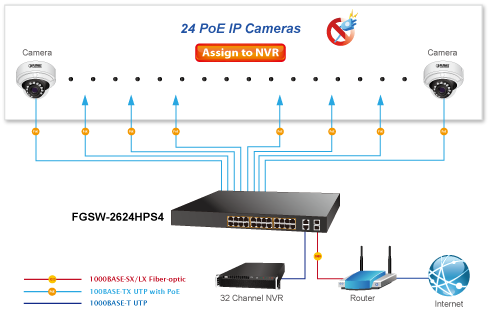 Particularly designed for the growing popular IP surveillance applications, PLANET FGSW-2624HPS / FGSW-2624HPS4 802.3at PoE web smart switch is a surveillance switch with the central management of remote power control and IP camera monitoring. 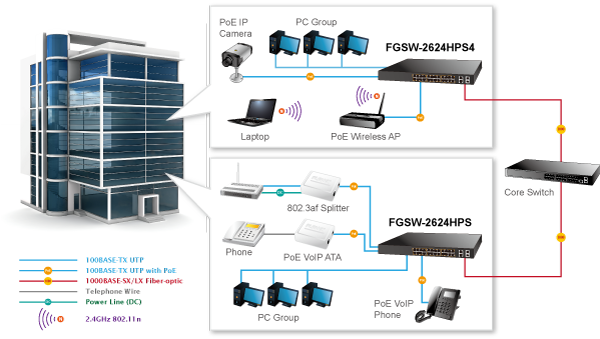 The FGSW-2624HPS / FGSW-2624HPS4 provides PoE functions along with 24 10/100BASE-TXports featuring 30-watt 802.3at PoE+ with RJ45 copper interfaces and 2 Gigabit TP/SFP combo interfaces supporting high-speed transmission of surveillance images and videos. With a total power budget of up to 220 wattsand 420 watts for different kinds of PoE applications, respectively, the FGSW-2624HPS and FGSW-2624HPS4 provide a quick, safe and cost-effective Power over Ethernet network solution for small businesses and enterprises. 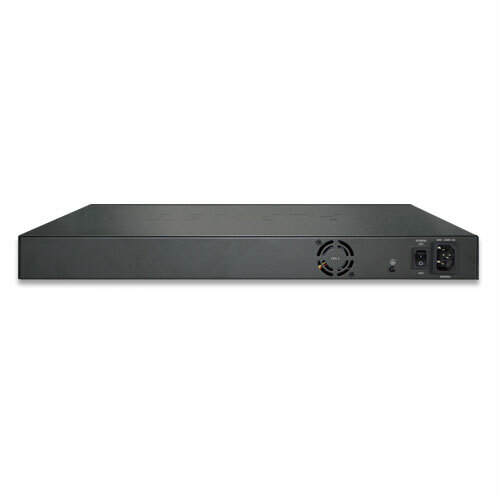 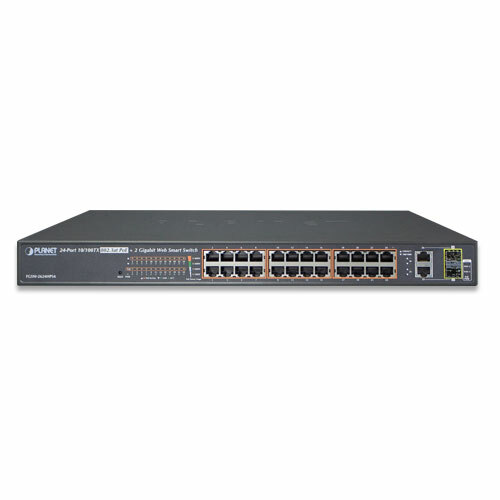 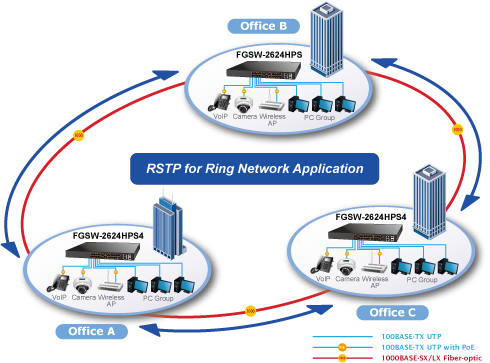 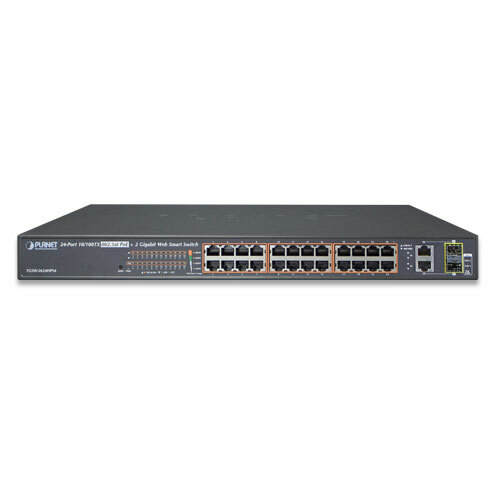 The FGSW-2624HPS / FGSW-2624HPS4 provides 2 extra Gigabit TP/SFP combo interfaces supporting10/100/1000BASE-T RJ45 copper to connect with surveillance network devices such as NVR, Video Streaming Server or NAS to facilitate surveillance management. 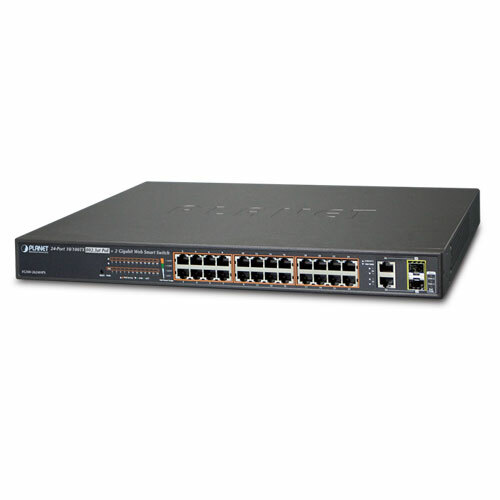 Or through these fiber SFP slots, it can also connect with the1000BASE-SX/LX SFP (Small Form-factor Pluggable) fiber transceiver to uplink to backbone switch and monitoring center in long distance. 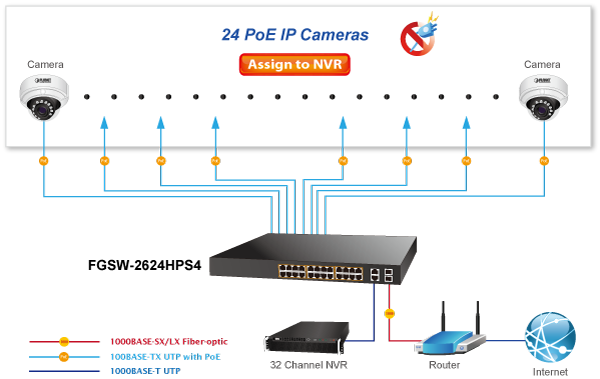 The distance can be extended from 550m to 2km (multi-mode fiber), even going up to 10/20/30/40/50/70/120km (single-mode fiber or WDM fiber). They are well suited for applications within the enterprise data centers and distributions.